WAYNESBORO, Tenn. — Wayne Medical Center (WMC) will host its 12th annual community health fair on Saturday, April 13, according to CEO Tyler Taylor. The event will be held at Collinwood Middle School, located at 108 3rd Avenue North in Collinwood. The health fair will be held from 8 a.m. until noon. The event will also offer an opportunity for residents to safely dispose of any unneeded prescription medications. A free drug takeback event will be held during the health fair in partnership with local law enforcement agencies. 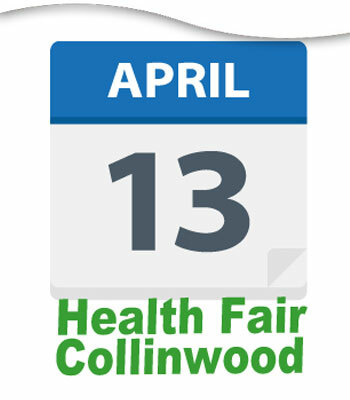 Medications that are no longer needed or are expired can be brought to the health fair for safe disposal. Items should be in the original container with label if possible. Door prizes will be given away during the health fair and refreshments will be provided. Joining Wayne Medical Center as sponsors of the health fair are Wayne County Bank, Volunteer Home Care of West Tennessee, Primary Care-Waynesboro, Bank of Waynesboro, Buffalo River Services, The Butterfly Foundation and Ladies in Pink Society, Deaconess Home Care, Hollis Family Services, Roger Smith Insurance and Tennessee Quality Homecare & Hospice.